TV mirrors, All sizes and frames styles made to measure. 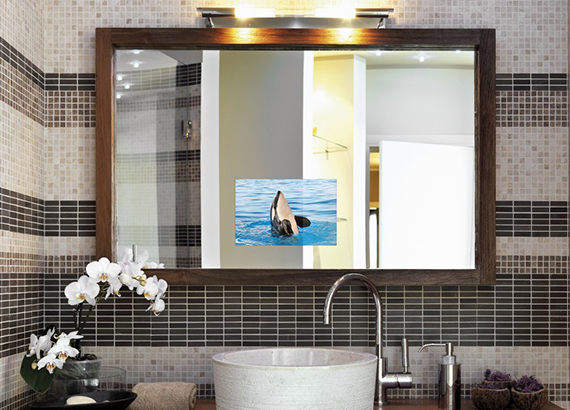 Combine style and entertainment in one, with the sleek look of our finely-crafted TV mirrors. When off, the television vanishes, leaving a perfect mirrored surface. 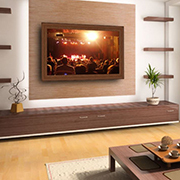 Don't settle for a traditional television that distracts from your carefully designed interior. 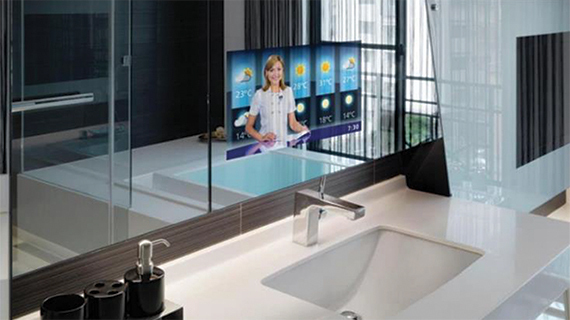 Choose a TV mirror. 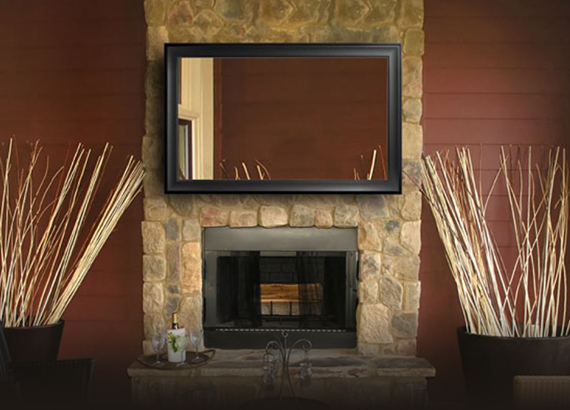 With our Family of Ultra TV Mirrors, You'll always have the perfect mirror match for your environment. Ultra Silver - Superior Mirror Quality, limited transmission. Ultra Clear - Superior Light Transmission. Ultra Plus - Optimum Mirror Quality and Light transmission offering the best of both worlds. Our Ultra Silver TV Mirror is the best option for those who prefer best level of reflectivity in their mirror. This exceptionally reflective mirror allows your television to be viewed clearly, with very little tint. Allowing for just a small adjustment to the brightness compensates the reduced light transmission. Results in a excellent mirror reflection and superior picture quality. All our range of Ultra TV mirrors offer a tempering / toughened option, perfect for safety conscious environments. 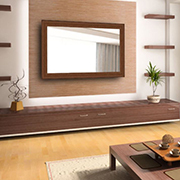 Or for really critical uses try our Acrylic TV mirrors, ideal for smaller televisions where safety takes the priority. 17 times stronger than glass alternatives, this shatter resistant TV mirror is ideal for use in bedrooms, and around children. An ideal option for providing peace of mind when necessary. We've made it easier than ever to find the right size to fit your needs. We can fit to almost any size of TV. Mirrorworld offer the largest selection of frames in the UK, Including Tradition, Contemporary, Ornate and Modern ranges. Our designer moulding collection provides solutions for the most distinguished environments. Make a statement with a grand and elegant gold frame or match your leather sofa with our opulent real leather upholstered frames. Elevate your design with a sophisticated finish, cut to your exact requirements. Your choice of Frame, Mirror finish, Mirror size, Mirror Shape, Masking and even cut outs are all customisable. Contact our friendly team of experts to make your concept a reality!